One by one the Mormon players drafted two years ago have been promoted this year from class A to A+. The lone holdout among the position players is Marcus Littlewood, who again made the case for his promotion this week. Littlewood, a catcher, was 8 for 19 (.421) last week with 7 runs scored, 5 rbis, 6 walks and 2 home runs–and in the process he pushed himself onto the Midwest League leader board with a .348 OBP (tied for 21st in the league). His performance for the season aren’t that bad either. He is hitting .251 with 41 rbis and 38 walks and a .348/.398/.745 slash line. But as a catcher Littlewood’s performance must also be judged on how he called the games. Unfortunately, his progress in that area isn’t available as a statistic and isn’t something I can judge. Often when minor league players are promoted from one class to another their performance falls off as they adjust to the new league. But occasionally that doesn’t happen, such as happened recently with Jacob Hannemann. 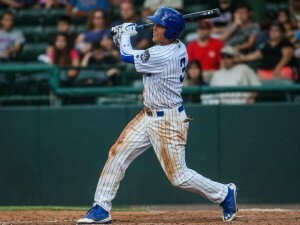 The Cubs’ top-20 prospect arrived in the Florida State League this past week and promptly made a mark. Hitting 7 for 22 (.318), Hannemann also had 5 runs scored, 2 rbis, 2 walks and 3 stolen bases. And it is in stolen bases that Hannemann excels—an analysis at Fangraphs places him 5th in all the minor leagues, despite the fact that he is only now reaching the A+ level. 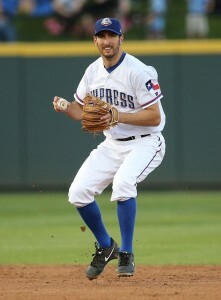 Hannemann’s performance last week is slightly behind that of Brett Pill, who plays in the Korean League. Pill, who once played for the Giants, was 8 for 23 (.348) last week with 5 runs scored, 3 rbis, 2 home runs and a stolen base. And his season record remains great; he is hitting .322 over 205 at bats, with 15 home runs. 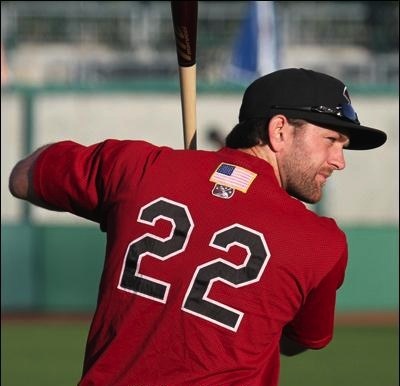 The Sacramento River Cats’ Shane Peterson has been persistent in his performance at the plate this year. Peterson is among the Pacific Coast League (AAA) leaders in most of the major statistical categories, and this past week was no exception. Peterson was 10 for 26 (.385) for the week, with 7 rbis and 6 runs scored, and he leads the league in hits with 104. His numbers in AAA are strong enought that it seems unlikely that he will stay there, but both last year and earlier this year Peterson’s stints in the majors haven’t lasted. Also notable last week were Jeff Gelalich and Jacob Hannemann. Gelalich was outstanding for the week, hitting 13 in 27 at bats (.481) and scoring 5 runs. 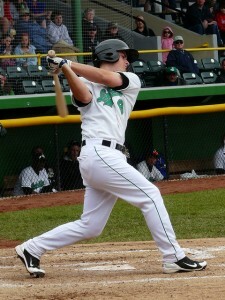 He was promoted from the Midwest League (A) to the California League (A+). And Hannemann, who was 9 for 25 (.360) last week and scored 8 runs with 3 rbis, is near the top in the Midwest League in stolen bases and runs and is currently 16th on the Chicago Cubs top prospects list. Last week it was Adam Miller’s turn to lead the Mormon pitchers in the minor leagues. He pitched 5 innings of shut-out ball, earning his 3rd win for the season and brought his season era down to 2.67. The performance leaves Miller 12th in the Midwest League in era, with 10 earned runs over the 33.2 innings pitched (25th in the league). He has turned in a solid performance, one that may lead to promotion. And Miller wasn’t alone in shutting out opponents last week. The Binghamton Mets’ Tyler Pill (Eastern League — AA) also earned a 0.00 era and a win for the week, but Pill is trying to work off some poor outings, and his work last week only brought his era down to 5.16, while giving him a win to accompany his 5 losses this season. For Pill, last week was great, but he will need several more great weeks to bring his stats in line. 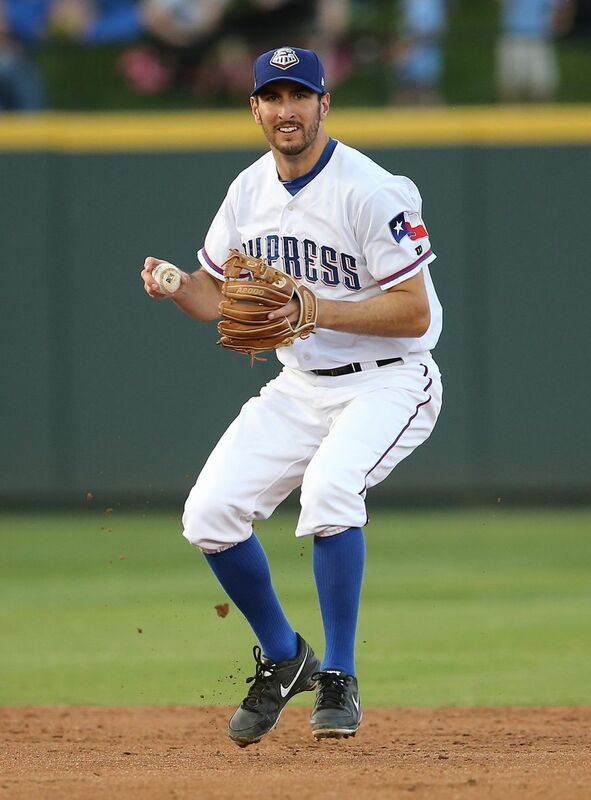 The Round Rock Express’ Adam Rosales started to make the case for a return to the majors last week, going 8 for 18 (.444) at the plate with 7 walks. The walks alone are quite stunning—he nearly doubled the number of times he walked for the season, and jumped to 6th in walks in the AAA Pacific Coast League. For the season, he is batting .254 with 4 home runs, 13 runs scored and 10 rbis in 71 at bats—perhaps not enough to get him back to the majors immediately, but certainly the beginning of an argument for his return (should there be an opening). Rosales isn’t the only Mormon in the minors who excelled at the plate last week. He was followed closely by the Beloit Snappers’ Jaycob Brugman, who was 9 for 23 (.391) with a home run and 4 walks, and by Rancho Cucamonga’s Adam Law (California League – A+), who was 11 for 30 (.367) with 7 runs scored and 3 rbis. For the season Law’s .325 average is close behind that of Marcus Littlewood, who continues to dominate the Midwest League (A) with a .395 average (1st in the league).